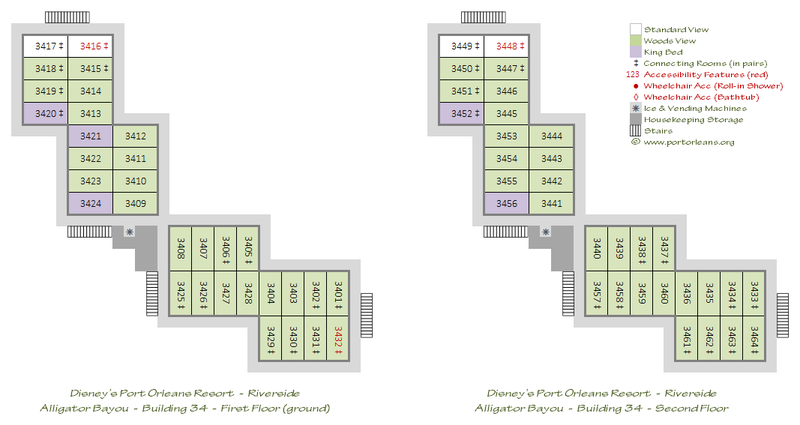 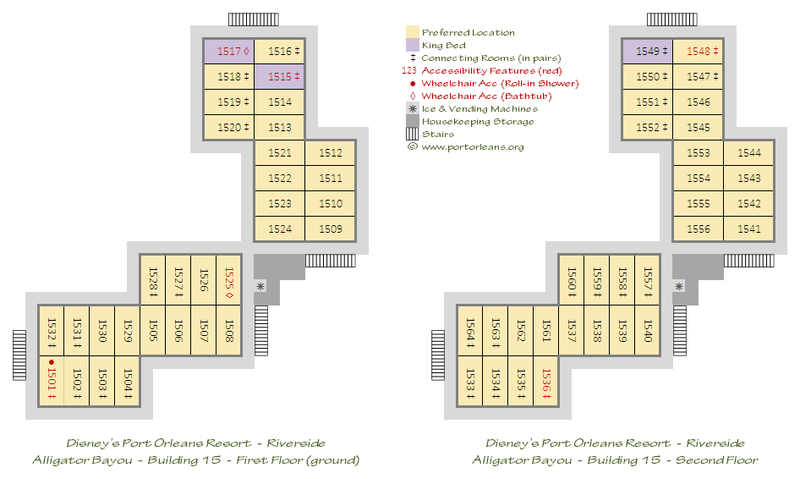 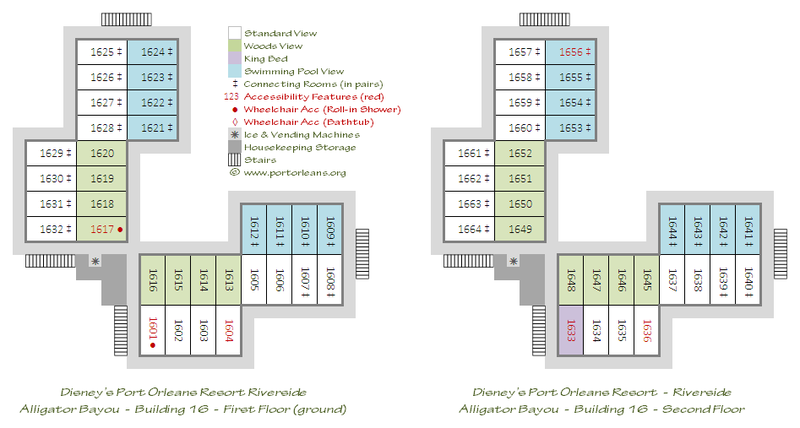 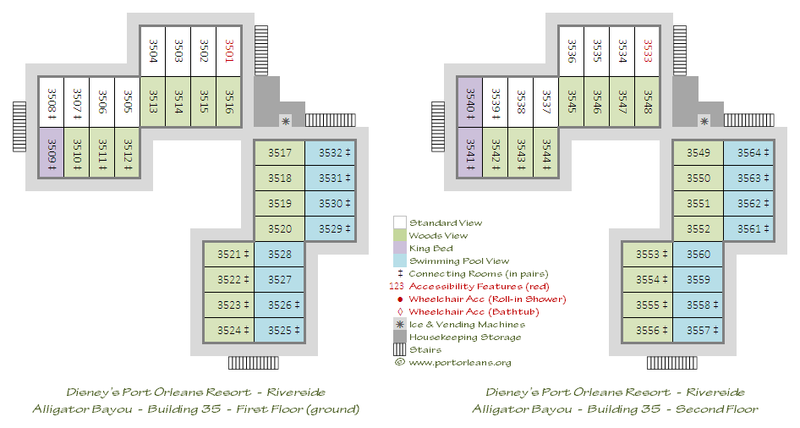 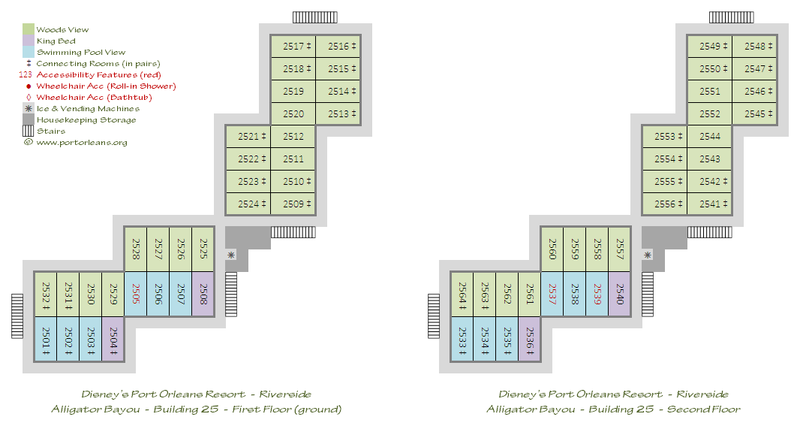 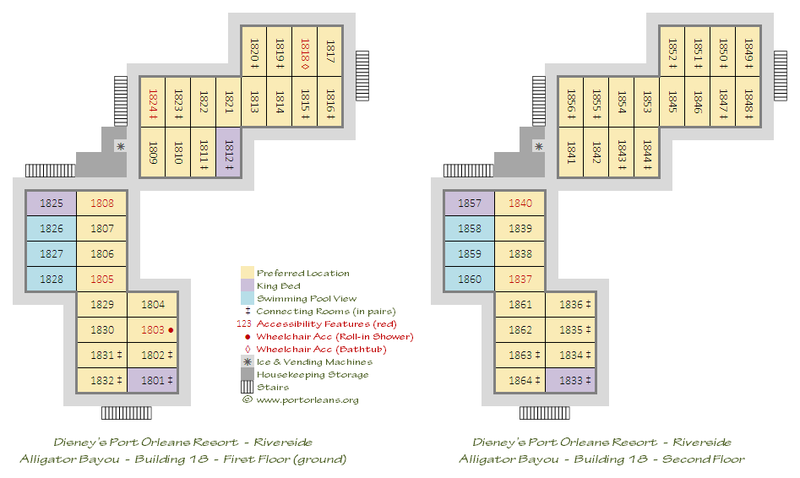 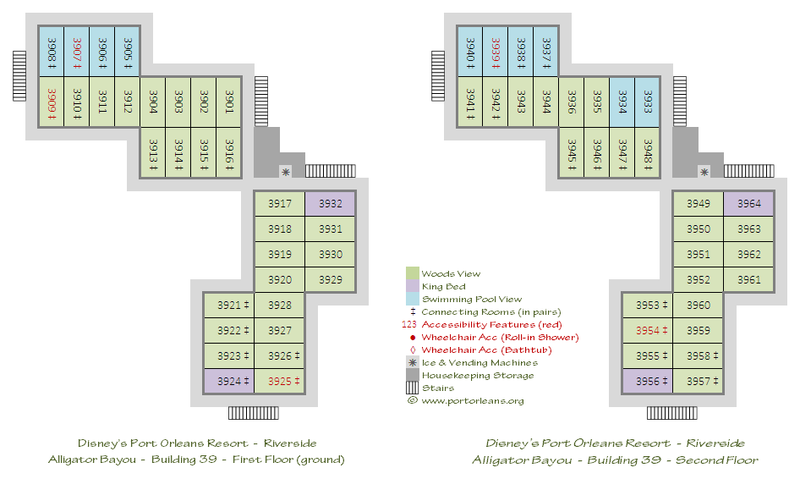 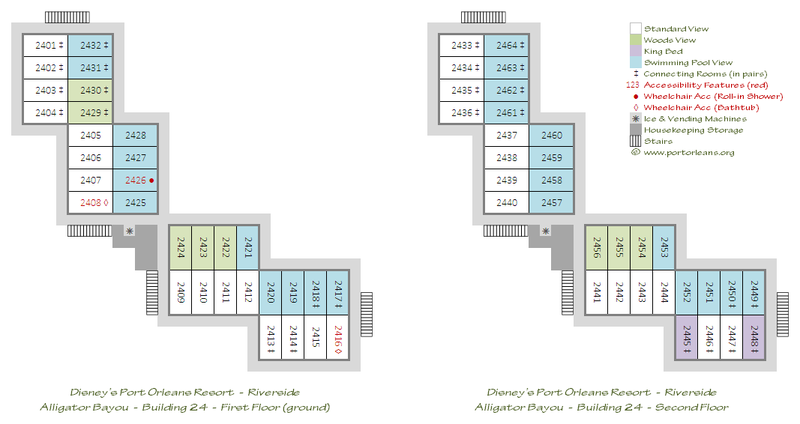 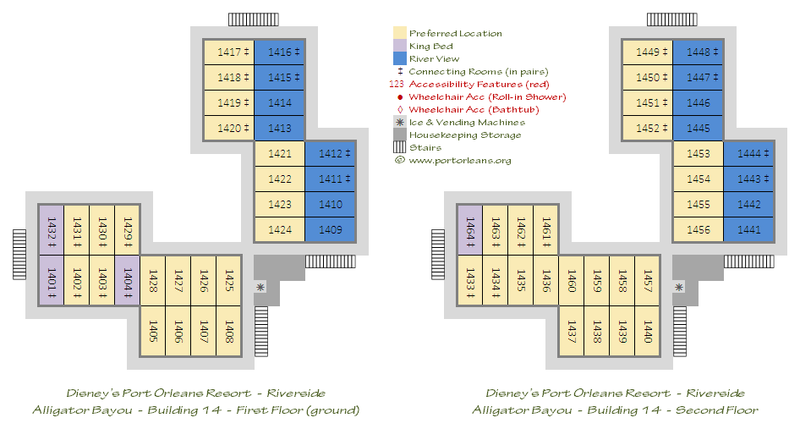 For general planning purposes, the two Port Orleans resorts are laid out as follows. 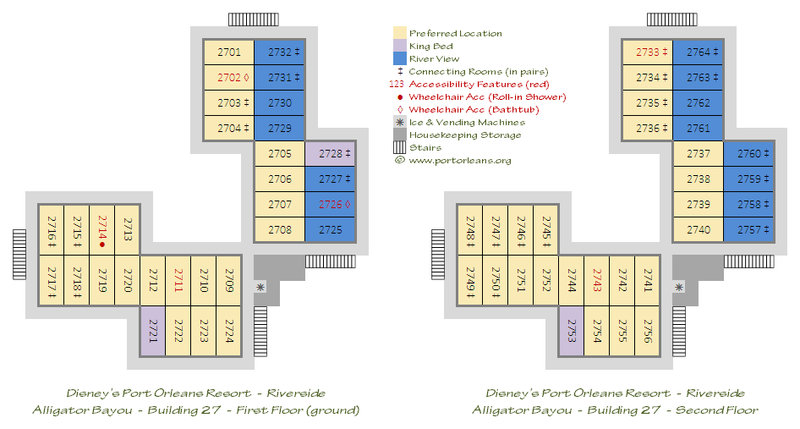 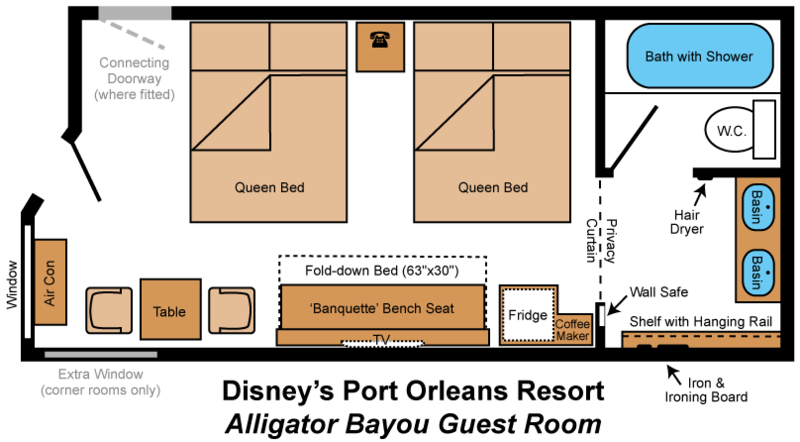 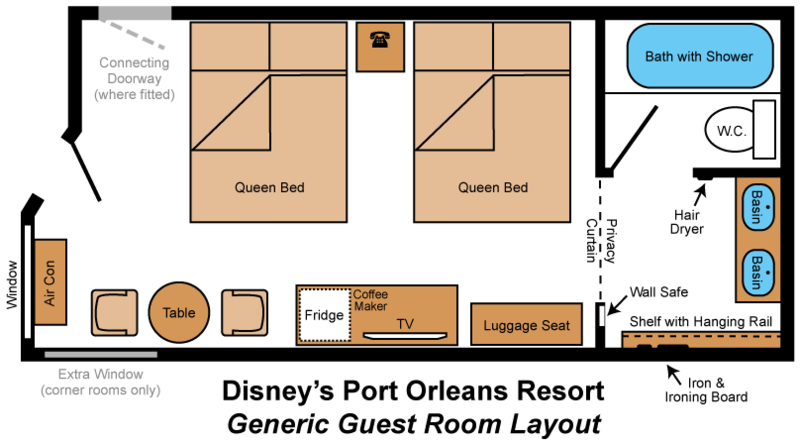 Please click on any of the numbered accommodation buildings to pop up detailed floor plan layouts which include all of the individual room categories, all of the Accessible room locations and types, and indications of which rooms feature Connecting doorways. 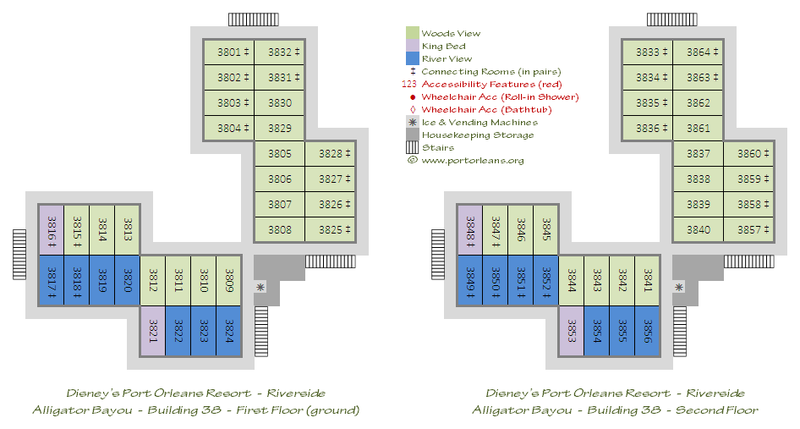 There are also fully-scalable PDF versions which can be downloaded for Alligator Bayou, Magnolia Bend and French Quarter for printing purposes.